KöR Whitening is a great teeth whitening method to brighten your smile and rid yourself of stubborn teeth stains that have built up over the years. While traditional whitening does not often treat teeth that are “permanently stained,” KöR can successfully whiten even the deepest, most severely stained teeth. The KöR process has been scientifically developed and proven to help those suffering from tetracycline teeth regain a beautiful smile, without leaving them vulnerable to teeth sensitivity or ineffective results in the process. Everyone deserves a beautiful smile that makes them feel confident in social situations. By utilizing KöR whitening, you can regain self-confidence, which may have been lost over the years due to severe teeth stains. KöR Whitening is a professional teeth whitening system that utilizes refrigerated whitening gels to brighten teeth permanently and help patients regain a more aesthetically pleasing smile. KöR is also a non-invasive technique that minimizes the sensitivity often experienced with more traditional whitening systems. KöR Whitening is believed by many experts to be the most effective teeth whitening system. Not only does KöR work to brighten mild staining, but it has also been successful at treating tetracycline teeth. Tetracycline is a deep teeth stain that can be incredibly difficult to remove through over-the-counter teeth whitening kits and in-office routine cleanings. Here at our dental office, we have the technology, equipment and staff necessary to carry out a successful KöR Whitening procedure, leaving you with a white, attractive smile in as little as two weeks. On your first visit here at our dental office, we will conduct a full oral examination of your teeth and determine whether KöR treatment is right for you. After both you and our team agree to KöR Whitening, a mold is then taken of your teeth. The mold is used to form the KöR-Seal Whitening Tray, to ensure that it fits properly without causing any discomfort. The Tray, along with the KöR whitening gel, is to be worn each night for approximately two weeks. For many patients, an occasional in-office whitening procedure is required to ensure quality results. After the KöR Whitening, our team provides detailed instructions on how to properly care for your teeth long-term and ensure that the KöR results last a lifetime. Among others, these three benefits separate KöR Whitening from all other techniques, and KöR is the most effective and efficient way to treat severe stains that develop on the surface of teeth. Perhaps the biggest benefit derived from a KöR treatment is the ability to brighten smiles deemed permanently stained. Severe stains that result from tetracycline or years of neglect have previously been considered permanent stains, unable to effectively be treated by in-office whitening. However, KöR Whitening has proven time and time again to be able to help patients who are suffering from “permanent stains” regain a beautiful, attractive smile that helps them reacquire lost confidence. Another major benefit of KöR Whitening is its ability to achieve long-lasting results. In fact, most patients who receive the treatment are able to achieve lifelong results, assuming that proper aftercare is administered long term to maintain quality. In addition to the long-lasting results and ability to treat even the most severely stained teeth, KöR Whitening is a non-invasive procedure that does not cause any damage to the teeth or gums and does not lead to a severe level of teeth sensitivity, regardless of the overall health of the patient's teeth. 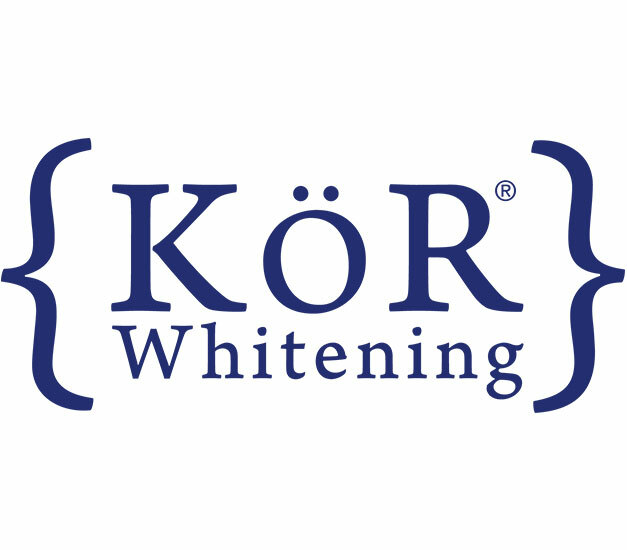 Who is KöR Whitening for? KöR Whitening is perfect for anyone looking to achieve a brighter, more attractive smile. Whether your intentions are to simply brighten your healthy smile even further before a big social event or to regain your beautiful smile after severe teeth staining has occurred, KöR can meet your exact needs and help you achieve a higher level of confidence on a daily basis. Since KöR does not cause severe sensitivity to less healthy teeth — which is not the case with many other teeth whitening procedures — it can be used on essentially anyone, although some dental care is likely to be needed before whitening the teeth of patients who have experienced enamel damage. Whether you are 15 or 90 years old, KöR can help you become confident in your smile because you will know that others will notice how bright your smile is and how attractive your teeth are each time you smile. If you are considering KöR Whitening or want to learn more about how it can help you gain more confidence in your smile, then consult with us and schedule a time to come in for a visit. Here at our dental office, we are well-equipped with all the necessary equipment and a dedicated team of professionals who are willing and able to help you achieve a more aesthetically pleasing smile. Everyone deserves a smile that makes them feel good and that they are truly proud of. Until KöR, many suffered from severe teeth stains that were unable to be effectively brightened. With KöR Whitening, even those with the most severely stained teeth can show off a confident smile each and every day. Are you considering KöR Whitening in the Tucson area? Get more KöR Whitening information at https://www.casasadobesdentistry.com/contact-us/.